My most favourite shot! Hikers climbing the glacier peaks of Sólheimajökull in South Iceland. 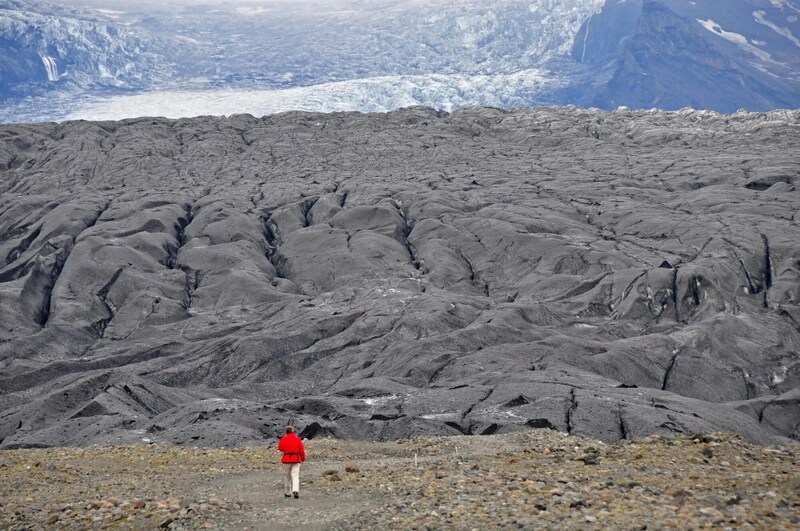 By the eruption of the Eyjafjalla in 2010 the glacier is contaminated with ash that the ice shades in all kinds of varies grey and even black colors. Michel Hammann is a Dutch, veteran travel and nature photographer who has vast experience travelling around Iceland. He feels completely in his element in vast, rugged landscapes untouched by man. He enjoys travelling the world looking for remote and extreme wildernesses. In recent years, he has discovered the Arctic destinations, Alaska, Spitsbergen and Iceland. He is not perturbed by the fact that it can reach 20 degrees below zero, as long as the light is good. If it isn’t, he waits until it is. We at Stuck in Iceland were intrigued by his extensive collection of videos and photographs from Iceland on his website (www.album-editions.com / www.iceland-editions.com ) and requested an interview. Michel was kind enough to agree to our request, so here it goes. My most favorite Iceland shot! Hikers climbing the glacier peaks of Sólheimajökull in South Iceland. 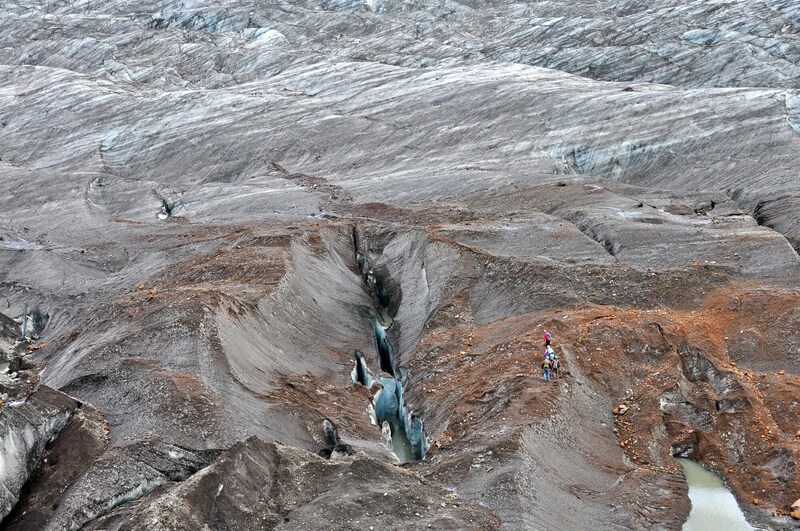 By the eruption of the Eyjafjalla in 2010 the glacier is contaminated with ash that the ice shades in all kinds of varies grey and even black colors. When did you first visit Iceland and what brought you here initially? Iceland had been on my bucket list for a very long time. The eruption of Eyjafjallajökull in 2010 was the decisive factor and I started preparing my trip. Good preparation is essential if you are going to be making an extensive independent tour and wanting to make full use of your time photographing and filming nature on location. A group of hikers enjoy the vast sweeping views of the beautiful highland nature. Even during the preparations, the unspoilt beauty of the nature and all that Iceland has to offer struck me. My wife and I travelled around for almost a month in June 2011.
springs, geothermal energy and rugged landscape. How often have you visited Iceland in total? We took our second trip there last March. We were so taken by the landscape, the natural phenomena and the, often bizarre, light conditions during the amazing experience of our summer trip that we immediately decided we wanted to photograph Iceland in winter too. I have travelled extensively but when it comes to light conditions, Iceland wins first prize! The glacial tongues of the Skaftafell flows in slow motion down from the Vatnajökull ice cap, by far the largest glacier mass in all of Europe (8,000 km2/5,500 sq. miles). There are a number of large active volcanoes under the ice cap. The Skaftafell The glacial tongues of the Skaftafell glacier flows in slow motion down from the Vatnajökull ice cap, by far the largest glacier mass in all of Europe (8,000 km2/5,500 sq. miles). There are a number of large active volcanoes under the ice cap. 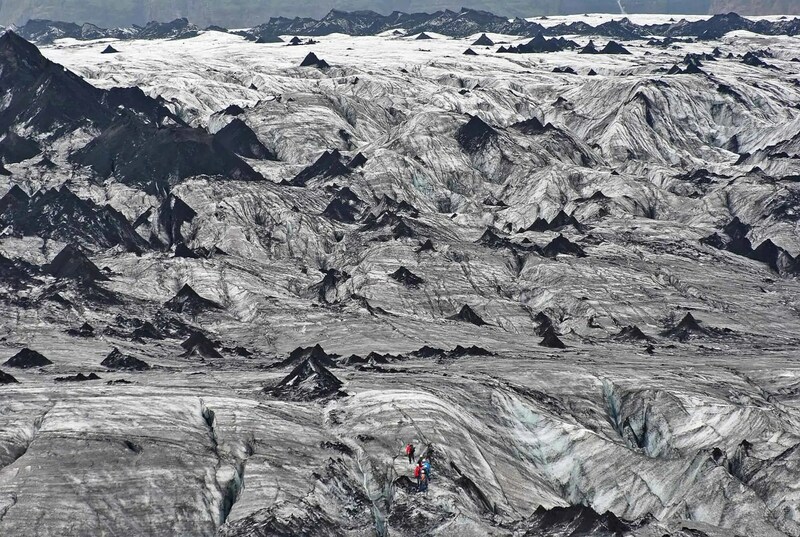 The Skaftafell glacier tongues are partially colored black by volcanic ash. We can see from your site that you have visited and photographed a lot of cool places. What is the main thing you like about Iceland? The variations in the weather, the light and the untouched beauty. The glacial landscapes are my favourite. What struck me most is that the volcanic activity on Iceland creates glacier landscapes incomparable with any other ice landscape. 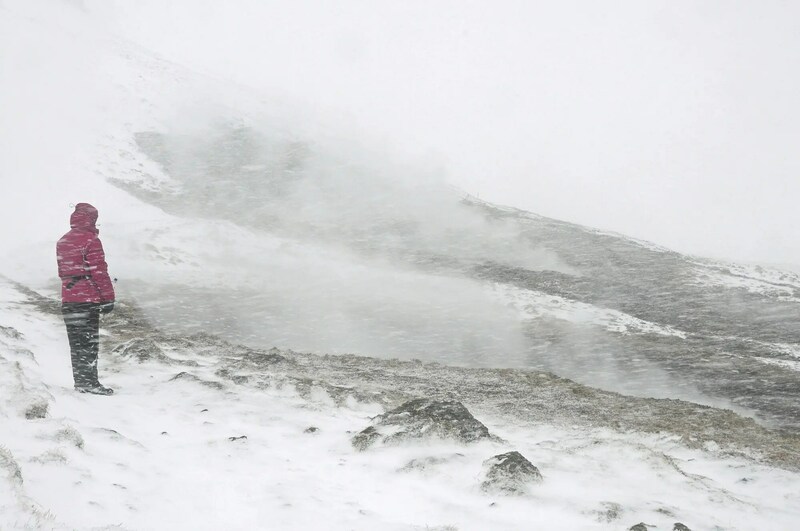 The eruption of the Grimsvotn volcano in May 2011 covered the icy surface of the Svínafellsjökull with ash, giving the ice a range of colours, to deep grey and black. It looked like a black and white landscape. That’s what makes the Icelandic glaciers so unique and photogenic! Jökulsárlón is the best known and the largest of a number of glacial lakes in Iceland. It is situated at the south end of the glacier Vatnajökull between Skaftafell National Park and Höfn. The lake is filled with icebergs, which are calving off the Breiðamerkurjökull glacier. Jökulsárlón is separated from the sea by only a short distance. On the black sand beach we see many amazing blocks of ice that have broken off Europe’s biggest glacier. A very scenic photo spot and a photographers paradise! Iceland is increasingly popular among photographers that are drawn to Icelandic nature, landscapes and wildlife. What advice do you have for someone who is planning a photo tour to Iceland? To start with, there are many well-known places you can visit and photograph. My challenge is capturing those places in a way never done before. Take the Strokkur geyser, without doubt the most photographed natural phenomenon in Iceland. My challenge was taking the most original possible photograph of this natural phenomenon. Geysir – the most photographed natural phenomenon in Iceland! The geothermal area in Haukadalur, around 100km from the capital Reykjavik and home of the one and only Geysir in Iceland, is without doubt the most photographed natural phenomenon in Iceland! The Geysir itself is not erupting anymore, but even gave its name to this spectacular phenomenon. Today the nearby Strokkur bursts out every few minutes and sends up a column of water and steam with enormous force up to 35 meters. My challenge was to capture the phenomenon in a most original way. The panorama is stitched out of 9 original shots of one eruption of Strokkur. Such an eruption takes a few seconds. The panorama shot is composed of nine individual images of one eruption. The picture was taken in the early evening. There were two advantages to this: 1) beautifully filtered light 2) no hordes of tourists, but a single person near the geyser perfectly reflecting the proportions. In this photo, I depict the entire eruption, lasting only a few seconds, in a single picture. 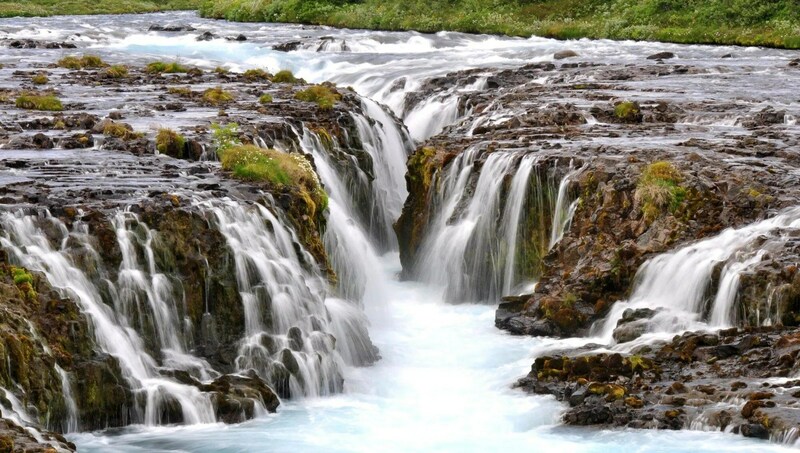 Feel the power of iceland’s waterfalls! My second piece of advice would be to rent a 4-wheel drive car so you can reach the highland interior. You can walk here endlessly and be at one with nature. Thirdly, do not be put off by what can sometimes be extreme weather. There is no bad weather, just inadequate clothing and poor camera protection. I took the most beautiful shots in the most extraordinary weather conditions during my summer and winter trips. The Vatnajökull ice cap has around 30 outlet glaciers spilling out from its icy plateau. Finally, take your time, particularly if the fundamental goal of your trip is taking photographs. That is why travelling independently is ideal; you have all the freedom and can stop where and for as long as you want. At the Jökulsarlon glacier lake, we waited for three days for the right light, an important element of landscape photography and, certainly, for photographing ice. There lies the passion! When you are showing the photos afterwards and viewers say ‘ooohhh’, you know it was worth it. This volcano system consists of a series of basaltic fissure vents, crater rows and small shield volcanoes. What are your favorite places in Iceland and why? The places where you come face-to-face with extreme natural phenomenon. There is nowhere else in the world like Iceland for such diversity. The hiking tour through the still steaming lava fields in the Krafla area in Northern Iceland was nothing short of spectacular. 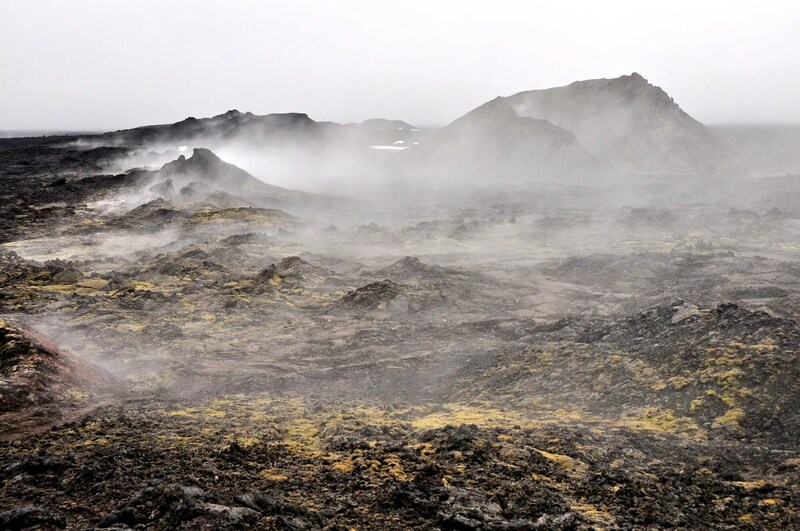 Even 30 years after the last eruption, you still feel the force of the elements. The landscape here has a Dantesque quality to it. fresh black lava and smoking fissures and fumaroles. What are the toughest conditions you found yourself in here in Iceland? Being stuck in the snow for about two-and-a-half hours. Despite our sturdy 4-wheel drive with studded winter tires, we still came off the road and found ourselves completely stuck. We didn’t have the right equipment with us; badly prepared. However, that is when you really get to know the Icelanders. The people in the first car that passed us helped with digging us out and towing the car. A hell of a task but we succeeded in the end! Icelandic glaciers are a wonderland of forms and colours. When do you plan to return to Iceland and what places do you plan to photograph? We are planning our following trip for next year. 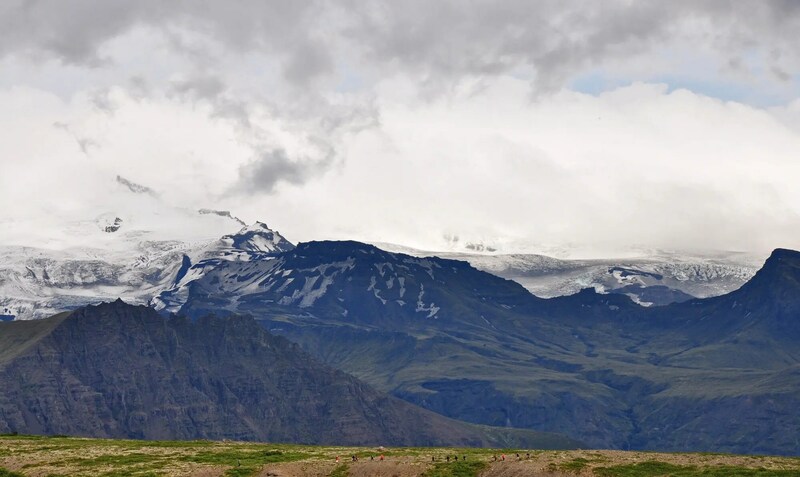 Beside driving the highland routes of Kjölur and Sprengisandur, we have on our list the Kverkfjöll ice caves and a descent into the Thrihnukagigur volcano. A glacier hike will certainly be on the itinerary again too. One day, I hope to have the opportunity to photograph and film an actual volcano eruption. That would be my supreme Icelandic experience! 11% of the surface of Iceland is covered with ice. The amount of ice, contained in glaciers, is dependent on anual temperatures and snowfall. It is amazing to experience the power of nature when you find yourself embraced by the giant ice mass. The outlet glacier Fjallsjökull flows down from the Vatnajökull ice cap, by far the largest glacier mass in all of Europe.